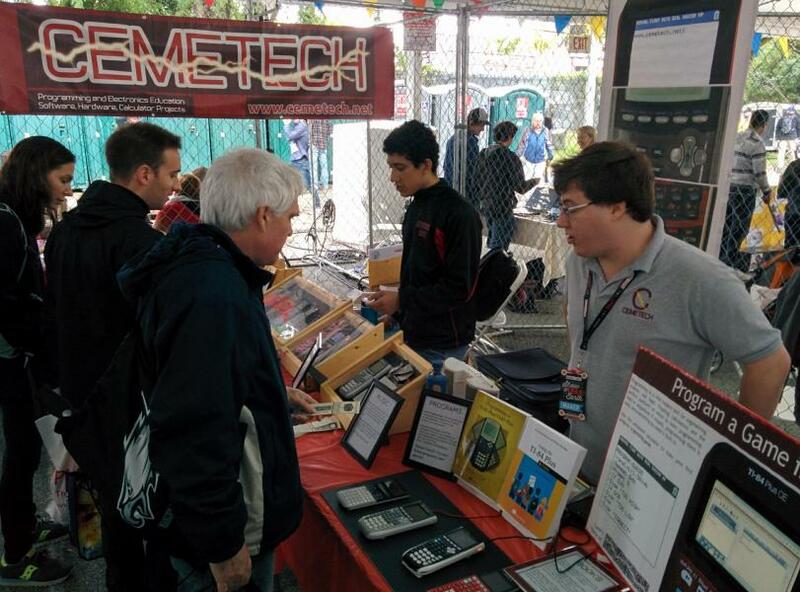 2) I would take off the slogan in the back and put it in the front one a single line under the Cemetech logo in smaller font, because having stuff written in large fonts on your back just isn't attractive to anyone. 3) And finally, I would remove the background color of the text, so that you don't have a rectangle surrounding the text. Didn't realize the files from my prior posts got lost in a server move. Anyways, reuploaded them and linked them below. That's actually really funny. 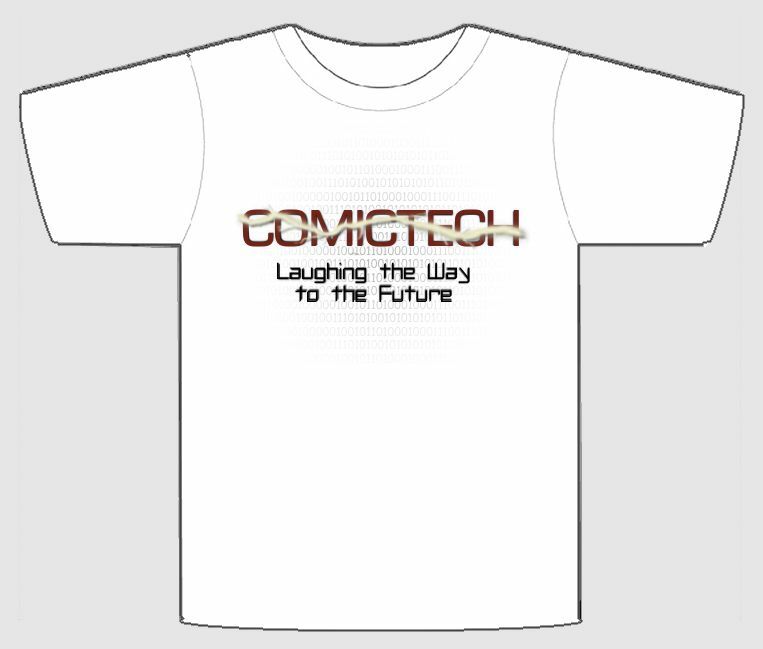 You should wear that the next time you represent Cemetech, err, Comictech! Ugh. That motto is so bad. Just lose it and replace it with a picture of a TI-83+ on the sleave. About the red t-shirt, personally I don't like red t-shirts because the color fades with the time on most brands and you end up with a pink t-shirt. I think the same orange as the gradient bars on the site or maroon would fit better. Yeah those are great. 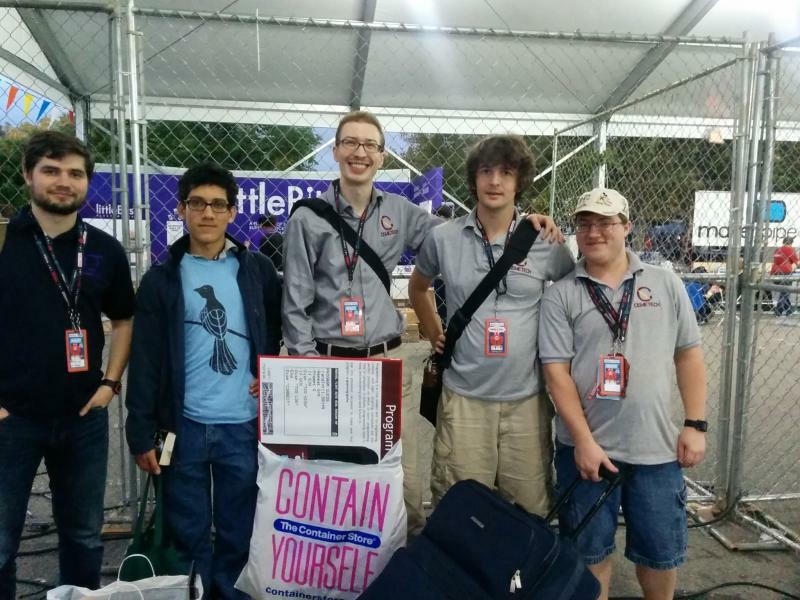 Can the current Cemetech logo be adapted to be the same colors as on those shirts? I really want that polo! I made it originally for a t-shirt, but I never got around to actually printing it. The doors is a tacky attempt at representing Doors, our (or Kerm's), crowning achievement. © Copyright 2000-2019 Cemetech & Christopher Mitchell :: Page Execution Time: 0.198889 seconds.